Katherine DeFonzo is a student at Fordham and an HNN intern. Katherine would like to thank Professor Javier Jimenez-Belmonte for teaching such an interesting course on the Gypsies and for providing the source material that was the basis for this article. Gypsies: tramps and thieves? They have been described in literature as pernicious and mutinous robbers, swindlers willing to lie about others' futures in order to make money. In the seventeenth century, Juan de Quinones went so far as to call their customs evil and depraved. Even now, individuals are often warned to be especially careful when buying something from a Gypsy. But a more careful study of history calls this perception of Gypsies, many of whom prefer to be called Romani or Roma, into question. Despite the stereotypes that are frequently associated with them, the people stereotypically known as Gypsies have a long and often divergent history. Believed by some Europeans to have come from Egypt, the Gypsies were a nomadic people whose migratory lifestyle made it easier for Europeans to view them as a people close to nature but without a home. This perception has helped perpetuate the continuation of stereotypes to this day. The first document written about the Spanish Gypsies dates to 1425. In this document King Alfonso XIII allowed for the safe passage of Gypsies throughout Spain, especially for the purpose of pilgrimage. This all changed with the ascension of Ferdinand and Isabella, Los Reyes Catolicos, to the Spanish throne. In keeping with the action they had taken against the Jews, Ferdinand and Isabella decreed in 1499 that any Gypsies who did not seek official permission to stay within the kingdom must leave or be severely punished with a minimum of one hundred lashes for the first offense. Laws passed over the next three centuries were designed to eradicate Gypsy culture. Gypsies were prohibited from using their own language and made to wear the same clothing as their fellow Spaniards. During the period of the Spanish Inquisition, Gypsies were stigmatized as heretics. As Spanish explorers made inroads into the New World, Gypsies were depicted in literature as cannibals similar to the supposedly "savage" Native American tribes encountered in America. Most commonly, Gypsies were described by many authors as thieves willing to take advantage of vulnerable members of society. As a result they were even subject into forced labor on ships. This travesty continued through the end of the 18th century. Yet even as the gitanos, the name for Romani people in Spain, endured such oppressive conditions under the law, they paradoxically became irreversibly associated with both Spanish culture and the exotic Orient. Few were aware that distinct groups of Gypsies had emerged throughout Europe, as the Spanish and Oriental association proved most fascinating. In George Borrow's The Zincali the author is surprised to learn that Gypsies in Spain and Gypsies in England do not use the same familial naming systems. The growing interest in Gypsy culture during the nineteenth century is perhaps no better evident than in French author Prosper Mérimée's novella Carmen. This novel, which would become the basis for the more famous opera by Georges Bizet, tells the story of the enchanting Gypsy woman Carmen and the hidalgo Don Jose who becomes consumed with jealousy and kills her. Carmen was a femme fatale, a fiercely independent woman who embodied the opposite of the Victorian ideal, and so Carmen became the image of the Gypsy in the minds of many Europeans. The unusual style of music and dance that was embraced by the Romani intrigued many Europeans and composers in particular. Debussy, among others, was profoundly influenced by Gypsy flamenco music and cante jondo, the vocal music that Spanish author Federico Garcia Lorca recognized as a deeply meaningful part of Spain's rich cultural heritage. Significant change took place when Francisco Franco became the dictator of Spain following the Spanish Civil War in 1939. Cinema during the dictatorship tended to emphasize the potential of the gitanos to be assimilated into Spanish society, as is evident in films such as Carmen de La Triana (1938); certain laws passed during this time period, however, were used against the Spanish Gypsies, even though these laws were not directed specifically at Gypsies. Nevertheless, gitanos living in Spain under the reign of Franco fared much better than did Romani living in Eastern Europe during World War II. As many as two hundred thousand Gypsy individuals who were not exempt for reasons of assimilation or "pure blood" died in labor camps at the hands of Franco's former ally Adolf Hitler. Early in the war, Gypsy camps in Austria known as Zigeunerlager became temporary holding places for the Gypsies during a brief time when deportations into the Reich were suspended. Many Gypsies died on account of the abysmal conditions in these camps, which Germans pointed to as proof of the Gypsies' moral inferiority. Nazi crimes against the Romani were not recognized as such for several decades. However, progress is gradually being made toward a deeper understanding of the Romani people. 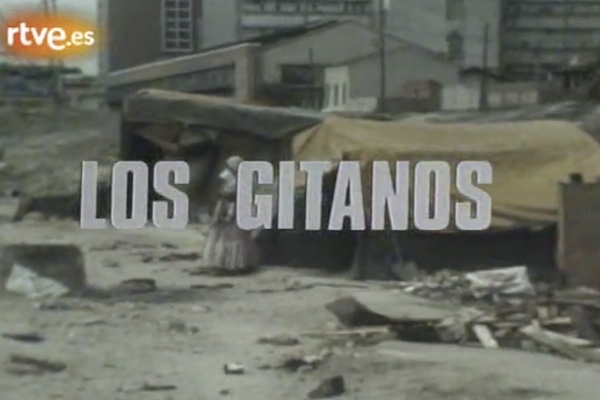 The 1975 Spanish documentary "Los Gitanos" was unique in its use of interviews with Gypsies who offered their own insight into their way of life, and works written by Gypsies such as Jose Heredia Maya have garnered increased interest in recent years. The Union Romani works internationally to promote and understanding of Gypsy culture and protect Gypsies from discrimination. Several distinct groups who identify as Gypsies came to the United States during the 1800s, and as many as one million live here today. These include Rom from Austria-Hungary and Russia, Ludar from Romania, and Romnichels from England. This diversity is a true testament to the many Gypsy settlements that have sprung up throughout history. The recognition that "Gypsy" is a term used to describe a heterogeneous and worldwide group of individuals will perhaps encourage others to look beyond the traditional stereotypes and consider the unique history of different groups of Gypsies around the world.